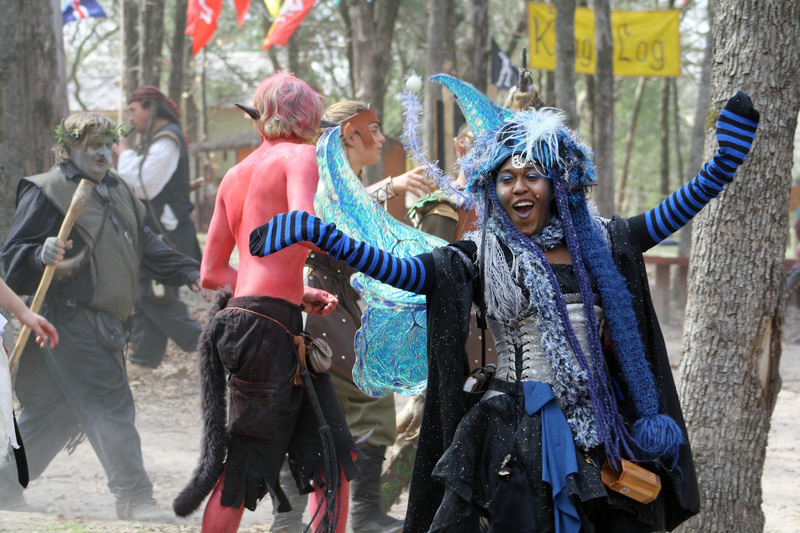 This February and March, the 4th annual Sherwood Forest Faire returns to Central Texas for eight weeks of Renaissance fun in Bastrop’s beautiful Lost Pines. 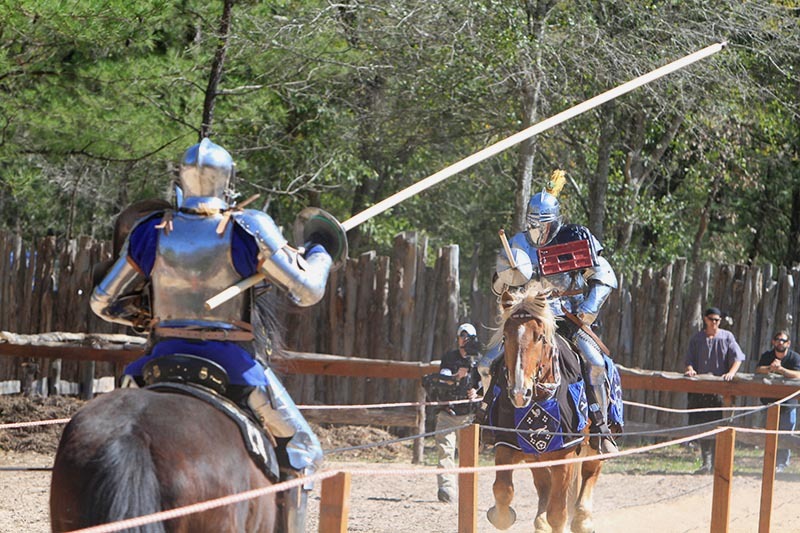 Every weekend from February 9th until the end of March, the medieval festival brings great food, medieval entertainment and over 150 merchant shops to Central Texas for families to appreciate and enjoy. 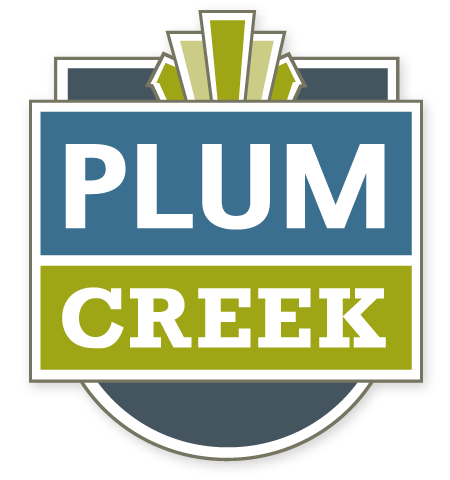 The eight-week extravaganza features something for everyone, so children and adults alike can experience and enjoy a simulation of what life was like in the olden days, without a time machine or a trip across the globe. A wide array of Renaissance-related, European food items are available at the faire, and food booths range from The Golden Conquistador (Mexican food), to The Greek Agora (Mediterranean food), to Merlin’s Favorites and much more. 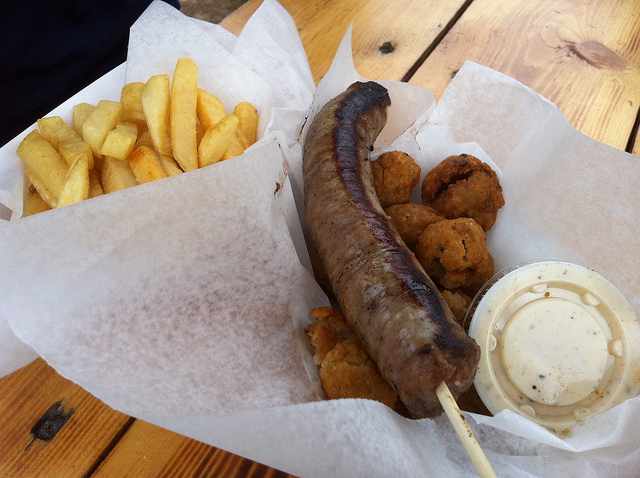 A wide selection of vegetarian food items are available at the Sherwood Forest Faire as well. Special food-related events are available at the Sherwood Forest Faire this year as well, including a Wine Tasting and a multi-course, authentic Renaissance feast, which are both available with an RSVP and an additional charge. The Wine Tasting is officially called “Tasting Wine with Madame Ghislaine,” who is a French midwife and wine connoisseur who gives an exclusive look at some carefully selected wines from around the world. The tasting accommodates up to 24 guests, and will last an hour and fifteen minutes. Tickets to the wine tasting are available on a first-come, first-served basis, and the tasting is only at the Faire for a limited time, so if you’re interested, check it out now. Robin’s Feast is the other food-related event at the Sherwood Faire this year, and is a five-course, all you can drink extravaganza complete with music and dancing. Each feast-goer receives a soup course, several meat and veggie courses in succession and dessert. Tickets for Robin’s Feast are a little more expensive, but the “all you can drink” caveat makes it worth it. Again, tickets and times are limited, so do some research if Robin’s Feast tickles your fancy. 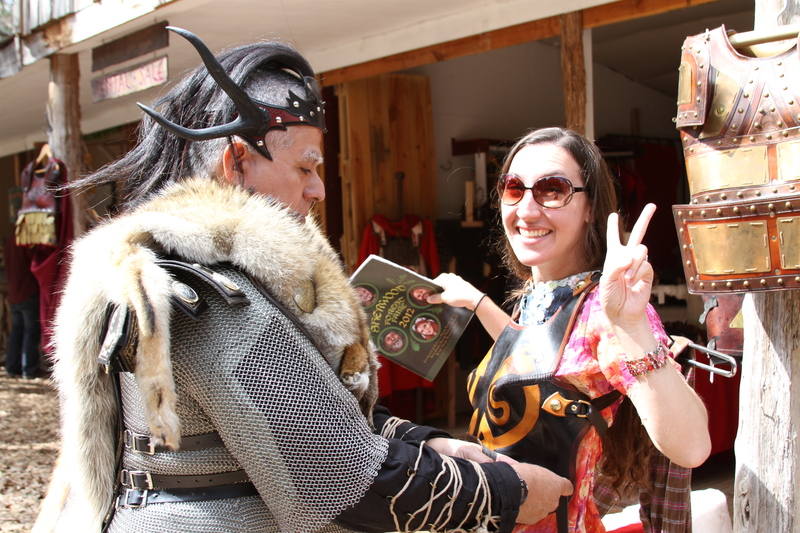 In addition to food, Sherwood Forest Faire offers more than 150 places to shop and enjoy yourself. Shop offerings range from medieval novelties, to clothes items, to jewelry, to leatherwork, musical instruments, weaponry, and more. 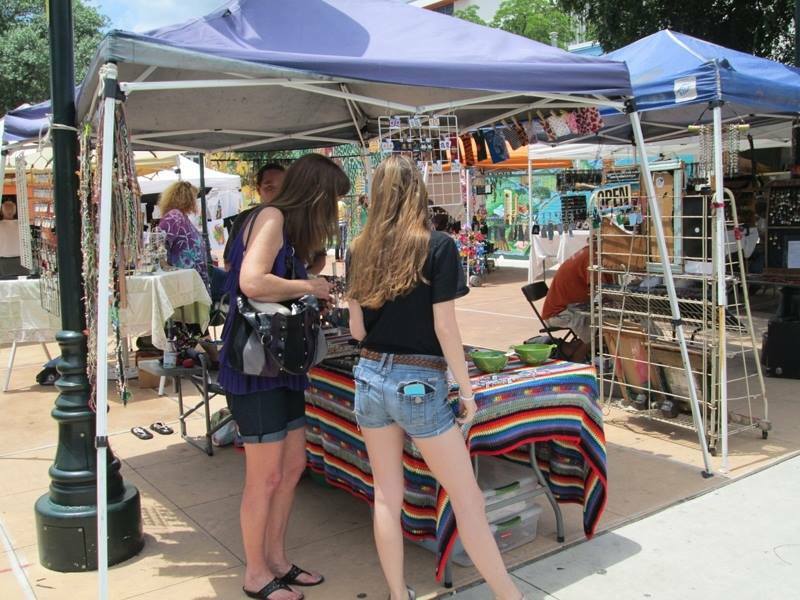 Local artists and craftspeople are predominately featured at the festival, so remember that you’re supporting the local economy. Plus, who doesn’t want a bow and arrow, or some authentic Reniassance-type candles? The main draw of the Sherwood Forest Faire, though, is the entertainment. Each week, the Faire releases a new performance lineup, which includes musical acts, magic shows, chess matches, dog shows, dance performances, jousts and more. There are over 20 performance spaces and stages, so you can plan your day to a tee and catch all the medieval entertainment you can muster. Most events are family-friendly, too, so you don’t have to worry about little eyes being offended or scared. The Sherwood Forest Faire even has its own cast of characters and performers listed online so you can see what kinds of peoples and costumes are in store for your weekend of Renaissance fun. SherwoodForestFaire.com has much more information available about the festival, so if you’re interested in checking it out this month or next, meander on over to their webpage and see other events and entertainment that are available at the Faire. And remember, this is an authentic Renaissance experience, so costumes are encouraged. And we all know you’ve been waiting for an excuse to bust out that elf or troll costume since college. Perfect right?